It will be exactly two years, on November 28, 2009, since I published my blog “Diversity and Misunderstood political Correctness” and the topic has not yet lost a bit of accuracy still today. 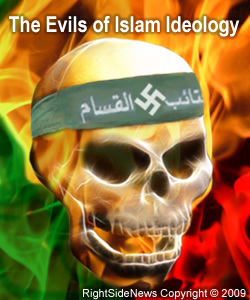 In two additional blogs throughout the years, “Sharia Law – the final Islamization of America” and the 3 part Blog “Radical Muslim University ‘UNISSA’ established in Amarillo, TX” I continued warning about the Muslim Infiltration of our Nation. When the sitting President Barrack Obama announced during a June 2007 speech available on YouTube that America is no longer a Christian Nation he did more than give a speech – Obama also seemingly blasted the “Christian Right” for hijacking religion and using it to divide a Nation. But by making those statements he basically gave Muslims in Americathe right and legal authority to do exactly that – USING RELIGION TO DIVIDE A NATION. He opened what can be considered a Pandora’s Box. 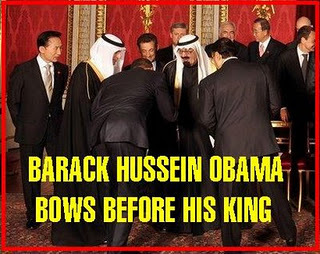 This constant public support by Obama has given Muslims in America a platform to conquer our society from within. It is not so much the Democrats in their irresponsible naivety and desperate dream of a diverse world trying to make this ideology of diversity, radicalism, and violence possible that surprises me. It is more the fact that our so called conservative political leaders and Christian religious leaders seem to have given up on what this Country has been built on – built on Judeo-Christian principles and rather joined the path of “political correctness” instead of standing up together with their flock of Christians against muslimization. When on November 15, 2011 for the first time “PolitiChicks.tv”, starring “Jennie Jones”, “Ann-Marie Murrell”, “Jannique Stewart”, and “Victoria Jackson”, aired those amazing brave ladies sure chose a hot topic for their first episode – “Gays, Muslims & Gay Muslims”. Unlike similar liberal ultra liberal formats like “Bill Mahar” or “The View” those Conservative Christian Ladies took a closer look at this very interesting and worrying topic without foul language, below the belt comments, or inflammatory speech. They chose a more intellectual and conservative point. They had over 100,000 clicks within the first 24 hours and were not only immediately hammered by radical left wing diversity protectors insulting and calling them names on Youtube, but also received a very article on Christian Post. Christian Post is an online Newspaper demanding to be the voice of American Christians. And yet instead of cheering for the PolitiChicks.tv in satisfaction that we Christians finally have a format that stands up for what this country is all about they questioned publically if “Muslims and Gay Comments cross the line?”. It seems to be that even Christian platforms would rather play Political Correctness in order not to offend anybody then defending what is rightfully our heritage. The response to my UNISSA blogs, and the harsh, radical, and insulting comments on the Politichicks sure gives the column from Frontpage Magazine’s Mark Tapson “Smear, Inc.: Silencing the Critics of Islamic Supremacism”, a whole new meaning”. And the silencing of the Critics of Islamic Supremacism continues unrecognized inAmerica and all over the world. Completely ignored by the Mainstream media, but reported by Judson Berger of Frontpage Magazine on November 12, 2011, the State department under Secretary Clinton just hosted “religious scholar and advocacy groups” with the goal to follow the European Example in creating new laws, pushed by some Islamic Nations, to stifle religious criticism and debate. After the Norway killing almost every European country seized the moment and installed so called “Anti Radicalism” Laws allowing them to spy and track down every critics of Islamization; under the false pretense of Anti-Terrorism. 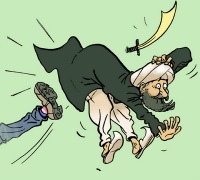 Germany even went so far to maintain Trojan software (so called Bundestrojaner – federal Trojan) that allows domestic secret service to monitor all bloggers, and internet activities of all citizens identifying Islam critics as “radicals” and silence them through fascist Laws. Austria works currently on the same Laws,Britain has already installed them. Adding those connections up a study published by the OSCE in the spring of 2011 (available on my blogs) makes a lot more sense. This study makes it a point that part of the Christian persecution taking place in Muslim countries through slaughter and murder are also taking place in Christian home countries such as the United States and Europe through silencing every critic by law. Even worse, our own lawmakers do everything to prove separation of church and state and dismantle every Christian heritage, insignia, or tradition. We are not even allowed to say “In Jesus Name”, Christmas trees have to be removed, Christmas transforms to Holidays, crosses have to be removed not to offend Muslims (but Muslim foot washing on public Universities is accepted) and much more. And at the same time allowing this on the principle of “Freedom of Religion” Muslims become more and more dominant. Have you noticed that during these Presidential Debates of Conservative contenders the Media desperately avoided these topics? All the past debates revolved around the same topics over and over and over, up to the point where sometimes I thought I was watching a re-run. 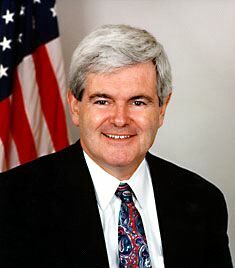 On the last debate on security only one of the conservative contenders, “Newt Gingrich” was brave enough to talk publicly about the “absurdity of a Muslim filing a lawsuit against a Catholic University”. Every other contender avoids the topics of Illegal’s running up our social system and Muslim infiltration nor does anyone clearly specify that America is a Judeo-Christian Nation built on Judeo-Christian principles and other religions are welcome to worship whatever they believe in as long as they accept our Christian heritage. I said in a previous paragraph that I am not surprised by the liberals and their promotion of Islam. Since the race card is maxed out, overused, and outdated the liberals desperately need a lunatic fringe group they can support. Their entire ideology of “Diversity”, established in the late 60’s is based on fringe groups. The only problem is that liberals don’t see in their blind radicalism that they are feeding a rattlesnake by supporting Muslims. The fact is that they really think once they have established Muslims in our country and give them more access to power Muslims will be grateful to them. But it is the opposite that will happen. Once the biggest foe for Muslims, the Christians, is all enslaved and silenced the Muslims will immediately turn on their feeder for one simple reason. Liberalism also stands for: woman’s rights, pro-gay’s, pro-lesbians, abortion, and all types of alternative sexual lifestyles – Basically, everything Islam and Sharia Law punishes by death. The liberals are feeding a monster they cannot control and doing so with every radicalism, violent, and naivety possible – SUICIDE IN SLOW MOTION. I’ll keep it with Eliana Benador of Right Side News when she says: “Stop Sharia Muslim Invasion despite Hussein Obama”. We need to increase the pressure on our political and religious leaders and make them aware that we are not interested in their political correctness, we want them to make a clear statement and stand firm to Christianity, and we are not interested in Koran readings in Christian Churches otherwise we have lost the war against Islamization already. Throughout History in 32 Wars we have defended what belongs to us – the 33. War we already lost thanks to your politicians. Christian Post – Victoria Jackson’s PolitiChicks: Do Muslim and Gay Comments Cross the Line? Even though, the atheist’s the queers and the muslim ideologies are antithetical to each of there own, they have made an alliance with each other to attack what they all consider, their common enemy. I find that very interesting these groups are making the prophesies mentioned in the last days, a patent self fulfilling prophesy corroborating the book of revelation. Looks like all the things Christians have been saying for decades is true after all. We must rebuke all three of these anti Christian groups for the destroyers of American Values they have all proven to be. They contribute NOTHING to this Nation. While the Gay community has used Matthew Shepard’s tragic murder as an excuse to blame Fundamentalist Christians bigotry of gay people to usher in the Hate Crime Bill’s passage, it was one of Matt’s ex-lovers that actually did the killing and it wasn’t over Matt’s sexual bent at all but that he wouldn’t front him some drugs. Atheists claim their contribution is science yet they are the ones pushing social Darwinism and we see the same Nazi type Government taking shape the same lies in Science like Man Made Global Warming and the same allies the Nazi’s had during WWII the Muslim’s. I find all that very interesting in deed. While they fight to keep Religion out of Government, they have no problem understanding why we should adopt sharia law. While queers talk about multi-culturalism and they parade in the streets looking like a quasi candidate for a self protracted health cure and a cast member of the Rocky Horror Picture show and wonder why we don’t take them serious. I have heard them bash my Religion, my worldview, in one way tolerance while they demand I embrace sexual behavior I not only find repugnant, but anathema to everything I believe, so why should I.
they wouldn’t have made a bit of difference. This is a simple issue but has became the very core of future dangers for our children, as it’s being implemented in school as religion, and base on history and the knowledge of their theocratic military, judicial and social way of life, a cult if nothing else. American people is waking up to the realities of islam and muslims, they don’t believe any longer to be a “religion of peace” but it’s the so call leaders that need to be stop on the path they are taking against the very culture and heritage of this Republic, that will need for all of us to be forceful in this issue, and not seat down looking how laws are implemented and prosecutions against Christians in this Country. Some way the people need to gain back their spirit and their courage and learn how to stand up, stand up to their church that has became big business as well, and more about greed and power in the community than about the soul and the sake of this Country. Thanks for this article, as you know is something I fight very hard, the scars of my people still suffer the endurance of our ancestors in their hands, today my people seems has forgotten the fight of 400 years of wars against them. but I’m not, and I will keep fighting against them all the way through. It’s out to us, those with the knowledge to keep informing others so more will come forward, we must preserve and fight for the heritage of this Nation or we’re doom. This administration is supporting islam and the muslim brotherhood, they must leave right away of all important positions they hold, from the pentagon, and the military, we can’t fight the enemy when we’re infiltrate by the enemy we fight. God bless you my friend, and keep the good fight, you’re not alone.